Jeff's approach to graphic design is to try and keep it simple and to make sure that the proper tools of design are being used to communicate effectively with the target audience. Series of four ads created for the Meadowcroft Rockshelter and Museum of Rural Life. Ads were about life in the 1800s and focused on the topics of work, play, family and school. Brochure for Riverplex showing venue capabilities and choices for catered picnic themes. ne of more than 500 issues of my syndicated feature - Shortcuts. Two ads from a series announcing the coming events of the 250th anniversary celebration of Ligonier, PA. Capabilities brochure for Continental Micronesia Airlines. Featured hand-colored B&W prints by Pulitzer Prize winning photographer Manny Chrisostomo. Web buttons for Winters Advertising and Public Relations email newsletter. 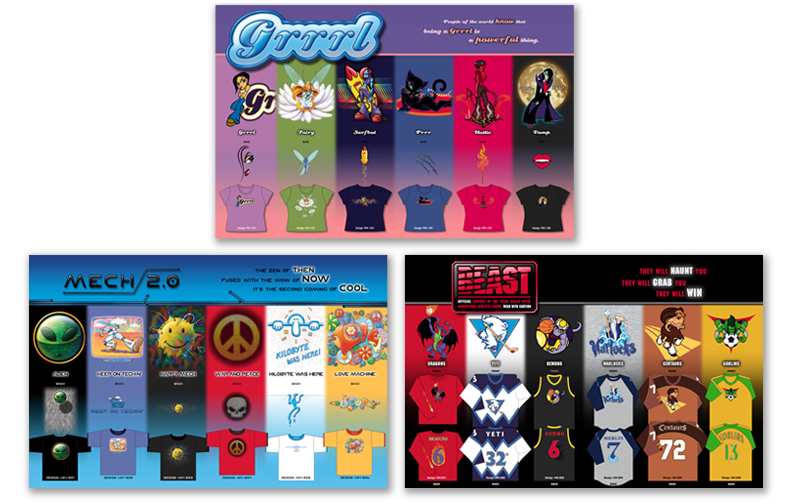 Sales catalog for Yorktech, a t-shirt manufacturer and screen printer based in China. Vehicle wrap for Prescription Center Plus. Large format vinyl wall graphics for entranceway to Washington High School. CONTACT JEFF FOR SOME GRAPHIC DESIGN MAGIC NOW!